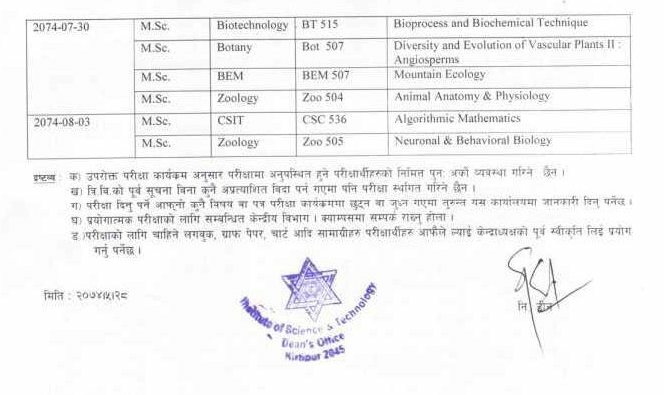 Tribhuvan University, Institute of Science and Technology, Dean Office, Kirtipur today published the exam routine of various subjects of Master of Science (M.Sc). 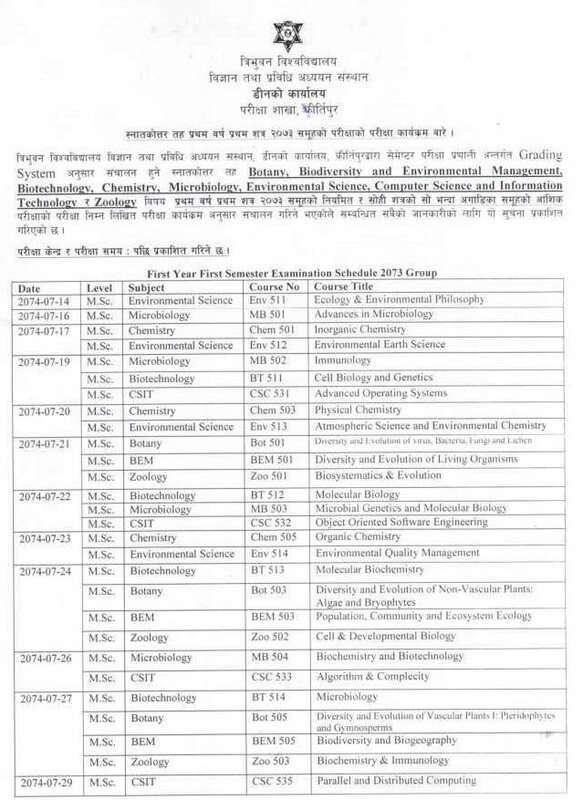 Examination routine, First Year, First Semester of following subjects were published for 2073 group and previous group of same semester. 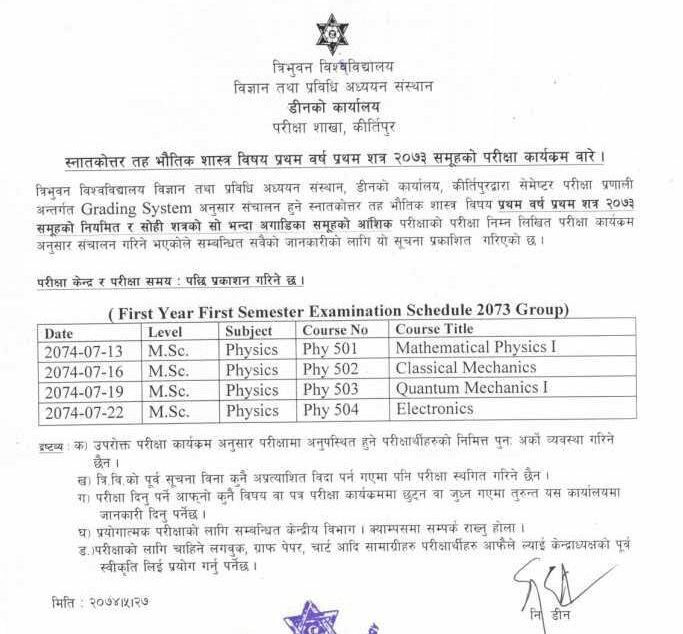 M.Sc First Semester Examination will start from Kartik 14 and will end on Mangsir 03, 2074. The exam centers and time will be published at a later date.